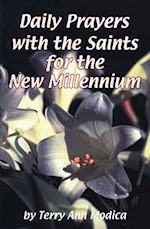 This is a supplement to Terry Modica's book Daily Prayers with the Saints for the New Millennium. The saints whose feast days are blank or in ( ) are extras for this site but are not included in the book. Saint Harvey was blind, but this did not stop him from serving as a good abbot for his community. He was famous for miracles. Saint Henry II was one of the best rulers of the Christian Roman Empire. He reformed the Church, assisted the growth of new monasteries, and oversaw the building of many beautiful churches. Because he believed that the Creed was essential to understanding our faith, he convinced the Pope to institute its use every Sunday and major feast day. Saint Herbert was the disciple and close friend of Saint Cuthbert. Herbert begged his spiritual father to pray that, as they had served God together on earth, they might be allowed to see God's glory at the same moment in heaven. Soon after, Herbert succumbed to a painful illness which lasted until they died simultaneously the following year. Saint Hermann Joseph was a monk and mystic who had a special devotion to the Blessed Mother. He consecrated the Eucharist with remarkable reverence. He was gentle, friendly and humble. 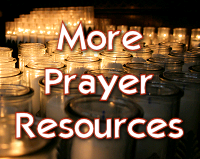 He prayed for hours at Our Lady's altar and experienced ecstatic visions there. He composed wonderful prayers and hymns to Our Lady. Saint Hilary of Poitiers was an avid defender of Christ's divinity when many were claiming that He was only human. Saint Hubert turned to the religious life after his wife died, reputedly after seeing a crucifix between the horns of a stag while he was hunting. Thus he is the patron of hunters. He became a bishop who ended idol worship in his diocese, made numerous conversions, and became known for his miracles. The father of Saint Hugh the Great wanted him to become a knight and secular leader, but his mother supported his interest in religious life, especially after a local priest had a vision about it. When he became a priest, he fought corruption in the Church and founded nearly 2000 houses for religious who shared his high standards. Saint Ignatius of Loyola was wounded in battle and had to spend months in recovery. He wanted to pass the time reading adventure books about knights, but all he could find were biographies on the saints. Reading these, he felt challenged to do what the saints had done. Saint Ignatius of Antioch was taken to Rome under military guard after he was condemned to die in the Roman amphitheater. On the way, he wrote inspiring letters to Christian communities. Nothing would stop him from carrying out his ministry of preaching the Gospel. Saint Isidore of Seville was one of the most learned men of his day and has become the patron saint of computer users and the Internet. Saint Ivo of Kermartin was a lawyer and a priest, often defending the poor for free. He fought the government over taxes and the rights of the Church. He was an incorruptible diocesan judge but eventually resigned from all law work to shepherd the people spiritually. He worked miracles, including feeding hundreds from one loaf of bread. Jacob was the son of Isaac and grandson of Abraham. His name comes from his birth, when he emerged grabbing onto his twin brother's heel as they fought for first place. He later stole from his brother (Esau) the first-born's rights. He was renamed Israel by God after he wrestled with a divine visitor and was finally broken of his pride. Saint James the Greater was one of the first Apostles, but he started out as a very impulsive, self-centered man. He dared to ask Jesus for a place of honor in His kingdom, and he wanted Jesus to destroy the villages that had rejected Him, but eventually he developed a true understanding of holiness. Saint Jeremy and four companions were Egyptians who visited Christians condemned to do hard labor in the mines during persecutions, to comfort them. They were arrested for this, tortured and beheaded. The Old Testament writer Jeremiah (Jeremias) was called at a youthful age to become one of Israel's greatest prophets. 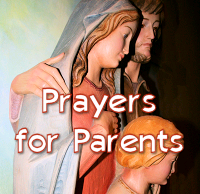 The grandparents of Jesus, Saints Joachim and Ann dedicated their precious daughter Mary to the service of the Temple when she was three years old, preparing the way for her to become the Blessed Mother. In the Old Testament, Joel was the second in the list of the twelve Minor Prophets. He warned of the judgment of Yahweh in order to awaken the people from their moral lethargy, while rejoicing in Yahweh's work of salvation. Saint John became one of Jesus' closest friends. He was the only one who stayed with Him until the end. On the cross, Jesus placed His Mother into his care. After Jesus rose, he ran ahead of the other Apostles to see the empty tomb and he was the first to recognize Him at the lakeside. Saint John Chrysostom was very vocal in condemning the sinful customs of his society, earning the name "John of the Golden Tongue." With his powers of persuasion, he stopped immoral performances of plays. Saint John Vianney is the patron saint of parish priests with a special concern for men who enter the priesthood late in life. 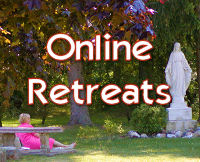 He himself had a delayed vocation, and he managed to get through seminary only with great difficulty. God chose Saint Joseph to care for Mary and Jesus because his holiness and love for Him was great, his compassion for others was outstanding, and his desire to protect and provide for his family was honorable. Saint Jude was one of the first 12 Apostles. He was known for exorcising pagan idols, which crumbled as the demons fled. He is the patron of desperate situations and lost causes. Saint Julian spent his life caring for the poor as a sacrifice for inadvertently killing his parents. He is the patron saint of circus workers, innkeepers, travelers, and murderers. Saint Justin Martyr struggled with his intellect in order to find God. He had studied various philosophies, filling his mind with many ideas that were contrary to Christianity, and this made it difficult for him to accept the Faith. But once converted, he wrote strong defenses of Christian beliefs. Saint Kenneth was an Irish priest who was a close friend of Saint Columba. He was a very successful missionary and built a few monasteries. Saint Kevin was born into royalty, but when he was ordained, he became a hermit for 7 years. Then he founded a monastery for the disciples he attracted. Many fantastic miracles were attributed to him, and he supposedly lived to the age of 120. Saint Kilian was a bishop who traveled throughout his diocese to reach all the parishes and minister to his flock. He realized that his calling to be a missionary meant going being the borders of his own country, so he took eleven companions and left home to evangelize Gaul. Saint Ladislaus was a great king of Hungary who encouraged Christian missionaries, built many churches, and gave religious freedom to the Jews and Mohammedans in his country. He was known for his zeal, piety, and moral life. Saint Leo the Great was pope during fearsome times. Heathen armies were attacking the faithful in many places and Christians were spreading errors about the Faith. Yet, he led the Church wisely and courageously, refusing to fear any threat, any difficulty, or any army. Saint Louis Bertrand was a Dominican priest who was so poor at preaching, it seemed he'd be ineffective, but his deep love for people produced great results. As a missionary in South America for 6 years, he baptized thousands. Though he knew only one language, God gave him the gift of tongues, so that when he preached, all the different Indian tribes understood him. Saint Luke the Evangelist was a physician who helped Saint Paul set up young faith communities. He is a patron saint of doctors. Saint Malachy was appointed archbishop, but because of political intrigues he was unable to serve at his flock for two years. Over the next three years, he restored order to the Church, and put the Roman Liturgy to use. Numerous miracles were attributed to him, and he was had the gift of prophecy. Saint Mark the Evangelist was one of those who ran away in fear when Jesus was arrested, but after the resurrection of Jesus and the descent of the Holy Spirit in the Upper Room, he became a writer of the Faith, and he helped Saints Paul, Barnabas, and Peter build the new Church. Saint Marcellinus was a priest who was martyred for his faith. He thought of his imprisonment as just one more opportunity to evangelize. He converted his jailer and his family, and his executioner became a Christian after his death. Saint Martin de Porres studied medicine to cure the sufferings of people. By entering the Dominican order and growing in holiness, he discovered that God often would heal people miraculously through his prayers. Saint Martin of Tours was raised by pagan parents, but after joining the Roman army he began to study the Christian faith. When his desire to imitate Christ compelled him to help a beggar, God came to him in a vision and called him to receive baptism and enter religious life. Eventually he became a bishop and banished pagan worship from his diocese. Saint Matthew the Apostle was considered by his own people to be a traitor because he collected taxes for the enemy, but Jesus did not label him as bad, because Matthew was willing to hear the truth and learn from it. When Jesus said, "Follow me," Matthew immediately left his money and his job. Before the Holy Spirit descended on the disciples, He chose Saint Matthias to replace Judas as the twelfth apostle. This was the beginning of the apostolic succession and a reminder to us today that God is the One who calls men to the priesthood. Saint Maurice was a Christian officer in charge of a legion of converts in an anti-Christian army. He had a very challenging and significant responsibility to help his men remain strong in the Faith despite persecutions. When he and his men refused to sacrifice to the gods, they were martyred. Saint Meinrad is the patron and in some part the founder of the still-functioning Benedictine abbey of Einsiedeln in Switzerland. He lived as a hermit at Einsiedeln and was martyred in 861 when he gave hospitality to two criminals. Saint Mel is the nephew of Saint Patrick. He went with his uncle to Ireland as a missionary and helped him evangelize that country. He supported himself by working hard, and any extra that he earned he gave to the poor. Saint Michael the Archangel led the army of angels that defeated Satan and the demons when they rebelled against God. Because his name means "Who is like God," Pope Saint Gregory the Great said, "Whenever some act of wondrous power must be performed, Michael is sent, so that his action and his name may make it clear that no one can do what God does by his superior power." Moses of the Old Testament was rescued from death during persecutions of the Jews in ancient Egypt, raised as one of the Pharaoh's own family, and later returned to free the Hebrews from cruel slavery under the Pharaoh's tyranny. Saint Moses the Ethopian was an Abyssinian slave feared for his strength and ferocity. He led of a gang of thieves but converted to Christ. He had supernatural gifts, and his wisdom is included in the sayings of the Desert Fathers.